Perfect! Kwesta and Yolanda chose Ed Sheeran's 'Perfect' for the first dance at their wedding. Senzo 'Kwesta' Vilakazi tied-the-knot in a beautiful ceremony over the weekend. The rapper married his long-term partner, Yolanda Mvelase, in a white wedding. Some of the star-studded guests at the ceremony included LootLove, Reason, Kid X, and JR.
"What a song you are. I may never be worthy to dance to it but I'll burst my eardrums trying to listen right and break my legs learning the moves. I love you @yonessalvv Let's make music forever," Kwesta wrote on Instagram. Yolanda also took to the picture sharing site to praise her husband. "Yesterday I married my best friend. So many people to thank, I’ll get through it I promise. For now I just want to thank my husband for choosing me. I love you Mr Vilakazi." The couple chose Ed Sheeran's hit single, 'Perfect', for their first dance. 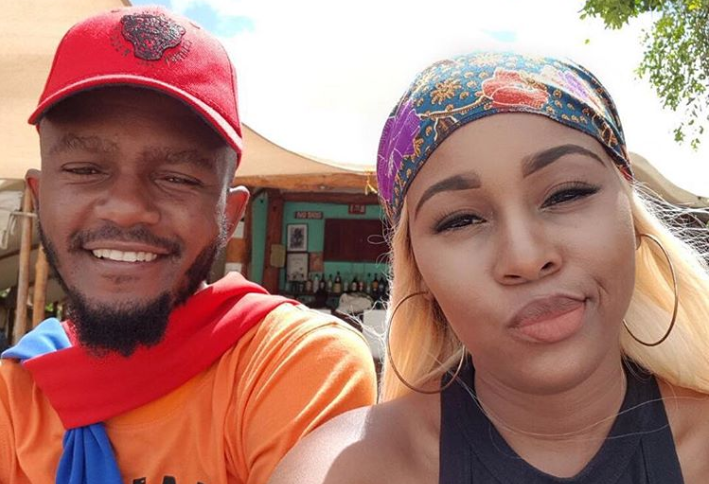 Yolanda and Kwesta, who have a child together, celebrated their traditional wedding ceremony in February last year. They couple will soon be jetting off on their honeymoon. One of the guests at their wedding, businessman Nhlamulo Baloyi, revealed that the couple asked their family and friends to contribute to their honeymoon fund instead of buying gifts. "We've lived together quite a while with all our pots & pans and as we don't need homely gifts we've got another plan... rather than a wedding list we'd love a bit of fun. So if you'd like to give a gift and send us on our way, a donation to our honeymoon would really make our day! Then while we relaxing on the beach or by the pool, we'll sit back and know it's truly thanks to you," their registry read. Here's a look at some of the pictures from Kwesta and Yolanda's white wedding.